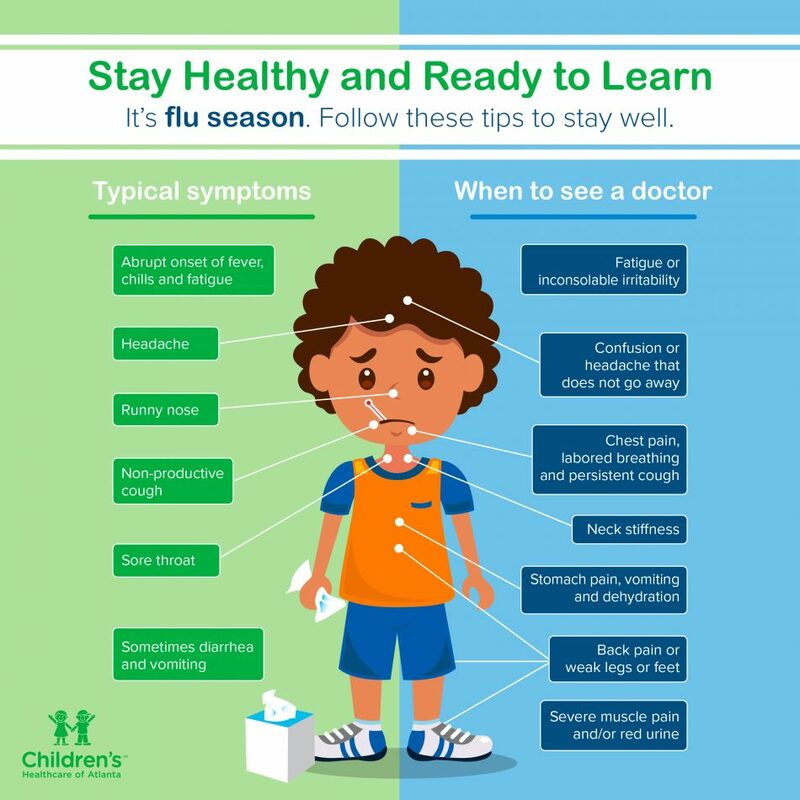 The DeKalb County School District encourages its students, staff and community to take proper precautions to avoid illness during flu season. Influenza is a communicable disease, and each of us must be vigilant in not only protecting ourselves, but each other. Below is a helpful graphic from Children’s Healthcare of Atlanta that includes tips on how to be safe. DCSD also offers the following information, from the DeKalb County Board of Health and Centers for Disease Control and Prevention to keep you informed. Know the signs and symptoms of the flu. Symptoms of the flu include a fever, cough, sore throat, body aches, runny or stuffy nose, headache and fatigue. Some people may also have vomiting or diarrhea.